Take down Titans with The Last Wings of Mankind. Attack on Titan: The Last Wings of Mankind, Spike Chunsoft’s upcoming 3DS game, will launch in Japan on December 5, this week’s Famitsu confirms. If you get eaten by a Titan you fail the mission and get a game over. The game aims to recreate the feeling of speed from the anime. You’ll be able to make free use the 3D Maneuver Gear in battle. There is four-player multiplayer. You can create and train your characters. NPCs will accompany you on each mission. If they’re captured by a Titan, you can save them by cutting off their arm. 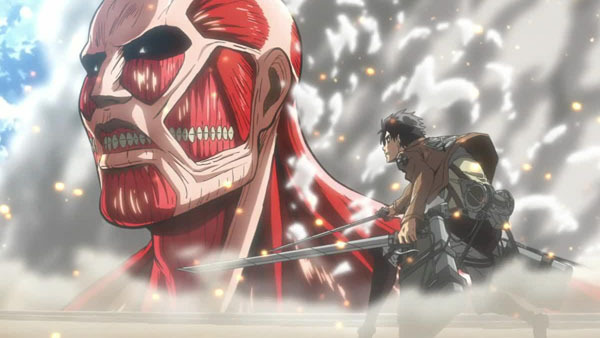 Story Mode follows the anime’s story, and Eren, Mikasa, Armin, and such are playable.